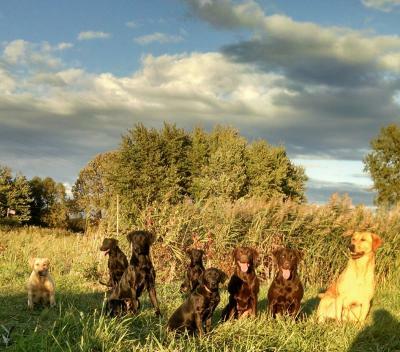 Grain Driver Labradors is a positive enviorment for working retrievers. We exemplify our core values by limiting enrollment and training year round. Therefore, dogs are now mentally and physically sound with the opportunity to be the best they can be. 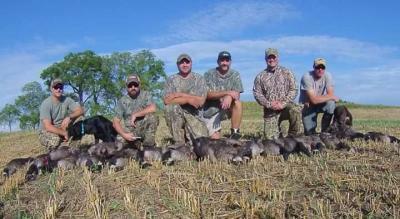 Our training grounds include trips to South Dakota and Arkansas. 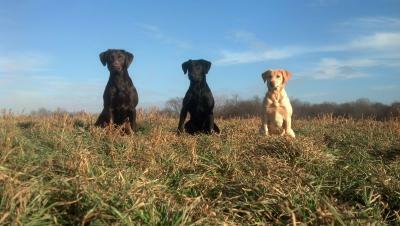 This compliments our hunt test/shed training and makes GRAIN DRIVERS gun dog program unrivaled. 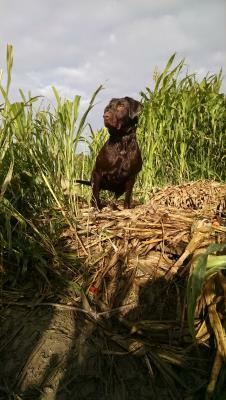 If hunt test success and high powered gun dogs are what you are hunting, contact us for details and comprehensive evaluation. References available upon request. With limited space and an inability to verbalize/explain in detail, it is difficult to sufficiently describe how extraordinary the services that Grain Driver Labs provides. I have a chocolate lab that comes from a strong bloodline (athleticism and intelligence) and has the "alpha" mentality. It got to the point where my parents considered sending her back to breeder because we did not believe we would be able to harness or control her energy, mind, etc. Ryan showed no hesitance toward accepting her, but rather embraced it. She went there being somewhat of a "devil dog" and came back a lady while still retaining the endearing personality we loved in her. This term is thrown around loosely these days, but Ryan has a true gift and an amazing passion for dogs. He communicates very frequently and kept us constantly updated with pictures, the current status, etc. Even after our training, Ryan is quick to check up with us on the current status of our pup and offer suggestions is areas we are having trouble with. He not only establishes a professional and personal client relationship, but maintains it far beyond the training is complete. Beyond the amazing gift with dogs, the entire Morton family is very welcoming and redefines what a client-trainer relationship should be. They all participate with the handling of the dogs and they treat their clients dogs as their own. Their diligence and love of dogs is unparalleled. I would like to again note that this review is unable to sufficiently describe how wonderful our experience with the Morton's was. Ryan's competence, skill set and professionally in developing his client-trainer relationships are truly refreshing in their nature. 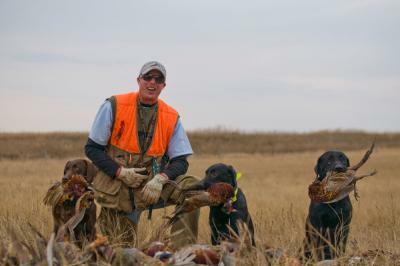 Ryan and family are the best gundog trainer east of mississippi. grain driver labradors have been great to me and my family.but most importantly to my dog belle.They take the time to let me know how she is doing.